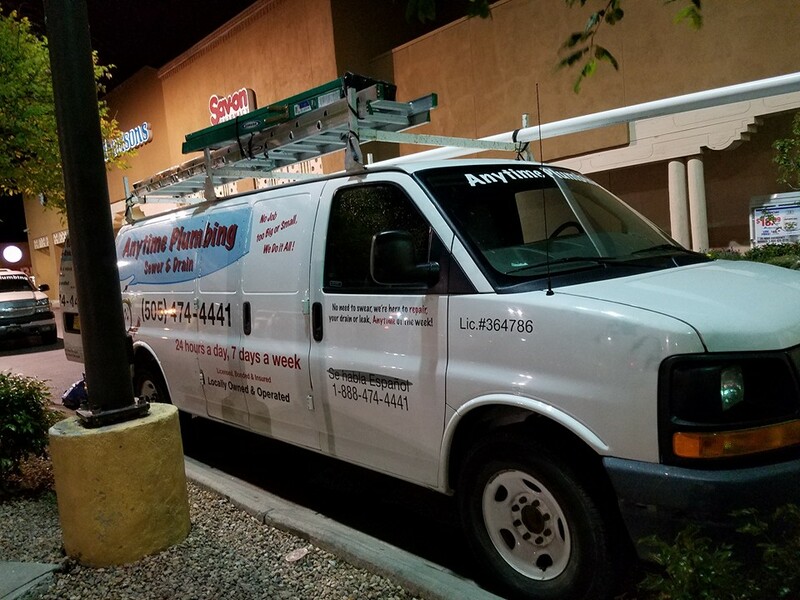 Anytime Plumbing is a TRUE 24-7 plumbing company serving Santa FE NM and surrounding areas. We don’t just advertise 24-7, we actually do it! 24-7 Service, Call Anytime of the week!